What have I ordered from overseas that is that big??? Then I see Brenda from Bumblebee’s and Butterfly’s name on the package! ahhhh!!! It is the Secret Santa swap at FSC!!!! to make it even more of a surprise! I was laughing as I opened my parcel because Brenda was the one I had posted mine to. 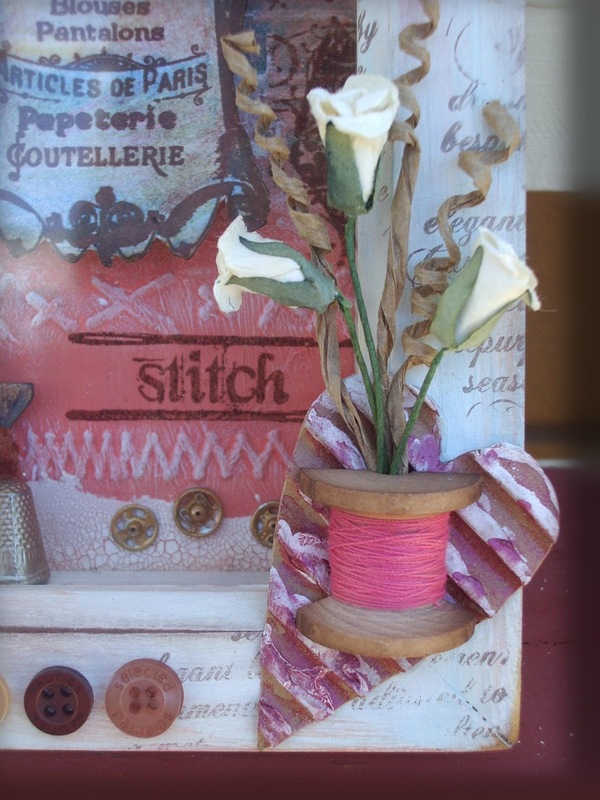 You’ll see the instructions on how this wonderful shadow box was created here. and I still keep just looking at it. It is amazing in real life. from the back to the outside of the box! 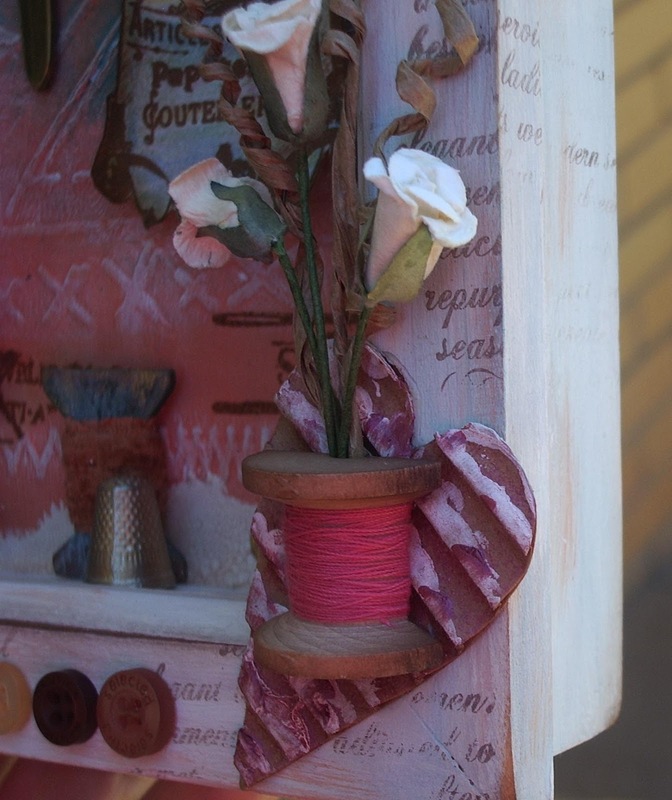 This is the front corner detail of the shadow box. The frame is sooo silky smooth! 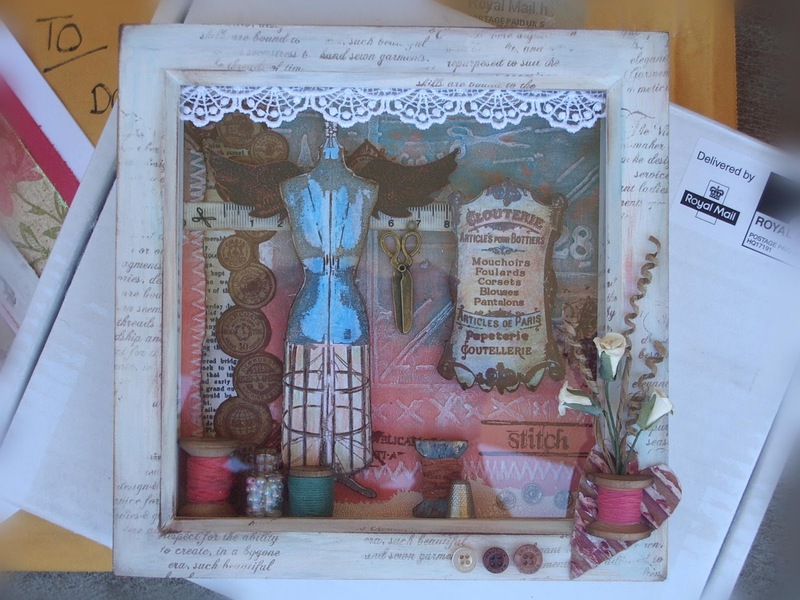 I am on the lookout for bits and pieces (and a shadow box!). So funny and totally wonderful where you get inspiration from isn’t it! And this is the gorgeous card that was sent along with the Secret Santa. Thankyou so much Brenda for all your effort! 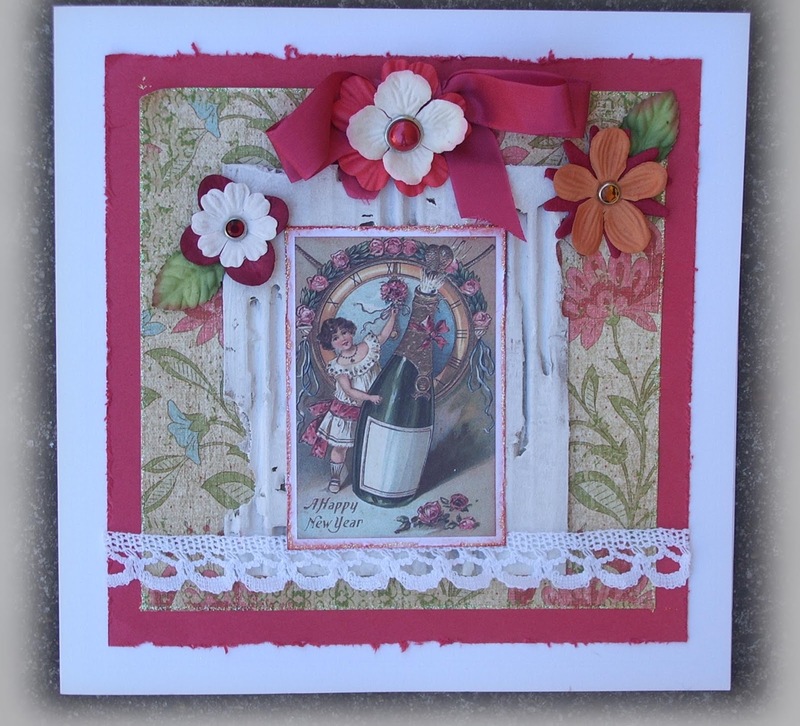 What a great swap…you received a gorgeous creation and card Dot! I am so pleased you like it Dot, I loved making it for you and I'm also pleased it bore the brunt of such a long journey. Enjoy. Dot how wonderful that you received this stunning piece from Brenda and also the adorable card she sent to you also. I know you will treasure those. Boy if this does not have Brenda's gorgeous signature all over it! How fun for you! Have a great day, Dot! Amzing creation you received Dot.